Ignorance is bliss, right? Well sometimes it is. 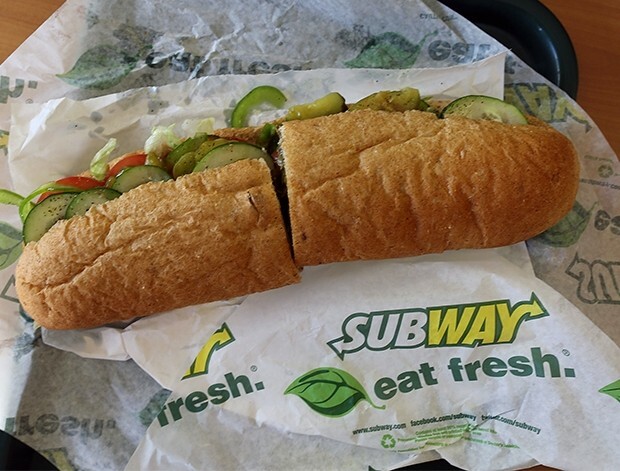 And for a minute we were thinking do we really want to know the ins and outs of sandwich chain Subway – and more specifically the ins and outs of what NOT to order when picking your foot long. But we decided it’s probably for the best that we do. An anonymous subway artist has taken to Reddit to answer all our burning questions about the takeaway joint. The alleged store manager literally said “ask me anything Subway related”. But he/she was sure to emphasise that he/she was not speaking on behalf of his/her employer. Anonymous Subway Worker responded by saying that people should avoid the ‘stinky chicken’. “Avoid: Chipotle Chicken and Teriyaki Chicken. Why? Chicken is given a two-day shelf life, once in the counter. However, these two [sandwiches] bypass this and get four days, and can get a little stinky. Sorry, fans of the chicken. Though it’s not all bad news: Anonymous Subway Worker reminded us that sandwiches are 20 per cent off between 7pm – 9pm. And he/she gave us a great tip – if you get a 12-inch flatbread sandwich there’s a good chance it will in fact be 14 inches long! Not sure why that happens, but we sure like getting more for our money so it’s flatbreads all the way from now on. Thinking about it, steak flatbreads would be pretty good.